For the second time this year, Mohammedans, soldiers of allah, have driven cars into shoppers walking through the centre of Melbourne. On both occasions we have been told that the perps had “mental problems”, not jihad afflictions. Flinders St attacker Saeed Noori rambled about Allah and the nation’s top security agency after mowing down 18 people. How can Victoria Police dismiss the terror angle before even speaking to the alleged attacker? And, how does the diagnosis of a mental health issue discount the possibility of terrorism? 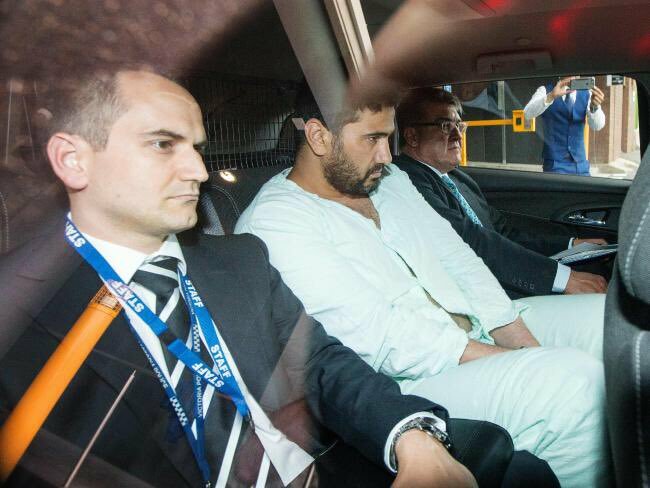 Prime Minister Malcolm Turnbull today confirmed that the driver in the Melbourne rampage, Saeed Noori, was a refugee who came through the normal legal process. But last [June], Somali-born Yacqub Khayre became the latest refugee to prove him wrong. 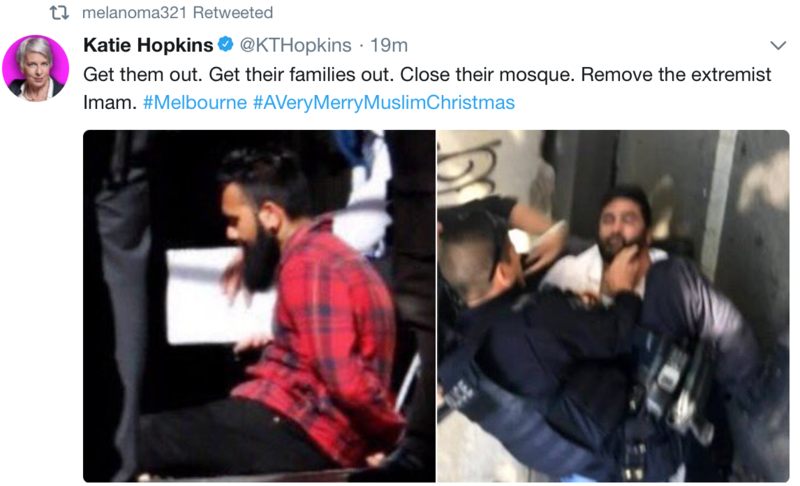 That makes four terrorist attacks in a row here by Muslim refugees, after Man Monis killed two people in the Lindt Cafe siege, Farhad Jabar murdered police accountant Curtis Cheng and Numan Haider stabbed two police in Melbourne. Add the high crime rates by Muslim Lebanese and Sudanese families, many brought out as refugees, and we must ask if our refugee program is remotely sane. HOW MANY MENTALLY ILL JAPANESE RUN DOWN PEDESTRIANS? He is a person who is known to have a mental illness. In fact, he was on a mental health treatment plan and missed an appointment yesterday. Could well be true. But I have a question. Japan has very few Muslims. How many mentally ill people there run down pedestrians? Japan has a very high level of mental health problems. It’s been 22 years since Japan’s last big terrorist attack. Other parts if the world, though, seem to have a lot of attacks. The “Australian citizen” (I presume this designation is being used to emphasize that he’s entirely eligible to serve in Mr Turnbull’s cabinet) did it deliberately, but relax, lighten up, there’s no need to worry because, according to Victoria’s police commissioner, all this terrifying terror is “not terror-related“. Victoria Police Chief Commissioner Shane Patton said the man arrested after yesterday’s attack had attributed his actions in part to the treatment of Muslims. “He made a number of utterances in respect to dreams and voices, but also attributing his actions relative to concerns for the treatment of Muslims,” he told Channel Seven’s Sunrise program. Absolutely, definitely not terrorism — despite the clear religious dimensions. Not a lone wolf attack. No, no, no. Keep calm and carry on. Here are some other comments from Patton from Radio 3AW on his approach to policing and law enforcement from earlier on Thursday. Victoria Police is not soft, we do use the appropriate force, but we have to balance people’s human rights. Isn’t he insulting the mentally ill, violating their rights, by suggesting that they’re incapable of carrying out terror attacks? Isn’t he insulting our intelligence with his equivocations? We are obviously going to be exploring the entirety of these matters when set against the backdrop of the circumstances. No, it is not terrorism. It is normal Muslim behaviour. It has everything to do with Islam. This dishonest newspeak from the authorities has to to stop.